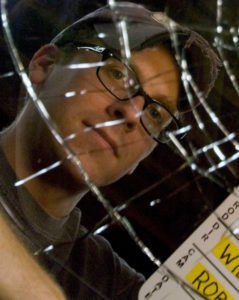 William Dickerson, author of the book DETOUR: HOLLYWOOD, is known worldwide for his approach on how to make indie movies with almost no money. 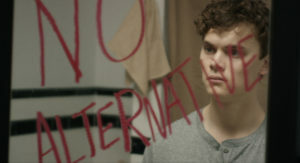 He wrote the novel NO ALTERNATIVE in 2012, and then adapted it himself for the big screen. “The reason I picked up an instrument was because Kurt Cobain killed himself. There was something inside me that wanted to keep his music alive—so I bought a guitar. My own Grunge band generated a following in New York; however, while our intentions were genuine, we were unknowingly capitalizing on the musical trends at the time. On the flipside, my younger sister ignored the radio-friendly Grunge that was the mainstream and turned to an even newer form of emerging music: Gangsta’ Rap. The character of “Bri Da B” is inspired by my sister, who for most of her life suffered from mental illness. One of the ways she was able to cope and enjoy life was through rapping. When the character of Bridget becomes “Bri Da B,” that transformation into someone else helps lessen the pain she is feeling in her life. My novel, on which this film is based, was published in 2012. It was born from what I imagined my worst nightmare to be: losing my sister. She had a history of addiction and attempted suicide several times. I wanted to show her, through my writing, just how horrible it would be to lose a sibling—to lose me—in an effort to save her from herself. However, it wasn’t enough. She overdosed two years later. Tragically, my worst nightmare came true. My sister was on numerous prescription anti-depressant, anxiety and pain medications at the time of her death. The 90’s saw a lot of kids just like my sister, who were driven to suicide because of misdiagnoses and over-prescribing—it’s an epidemic that has largely gone unnoticed. 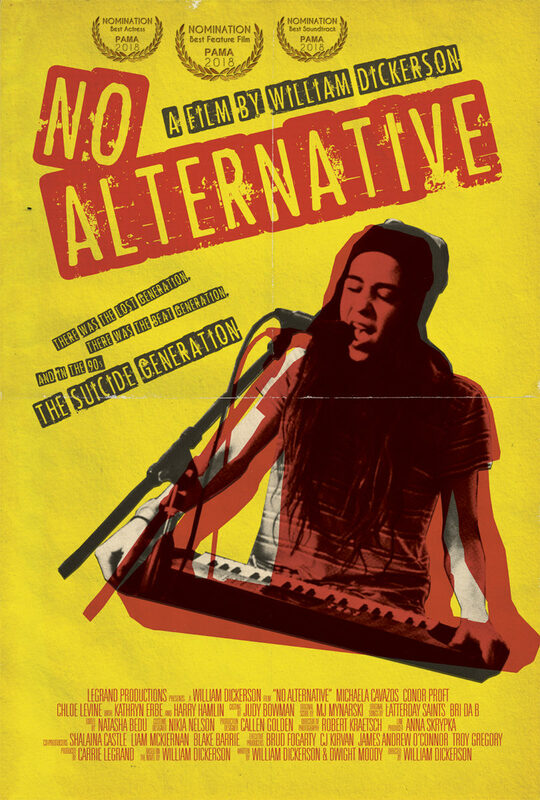 This epidemic, along with that universal sense of teenage alienation, are themes explored in “No Alternative.” This film is deeply personal for me, but it’s also a story that I know will resonate with teenagers of yesterday, today and tomorrow. It’s the perfect time period to confront the ideas of suicide, addiction and mental illness, in hopes of removing the stigmas attached to them. So many people refuse to talk openly about mental illness and view suicide in a taboo light, which is extremely detrimental. I want this film to shine a light on these subjects through dramatic storytelling. I believe, as artists, we are all expert at one thing—while we may be capable of telling a variety of different stories, there’s the one story which burns inside, which we were meant to share and use all the skills and resources at our disposal to tell, no matter what stands in our way. William Dickerson graduated from The College of The Holy Cross with a Bachelor’s Degree in English and received his Master of Fine Arts in Directing from The American Film Institute. His debut feature film “Detour,” which he wrote and directed, was hailed as an “Underground Hit” by The Village Voice, an “emotional and psychological roller-coaster ride” by The Examiner, and nothing short of “authentic” by The New York Times. 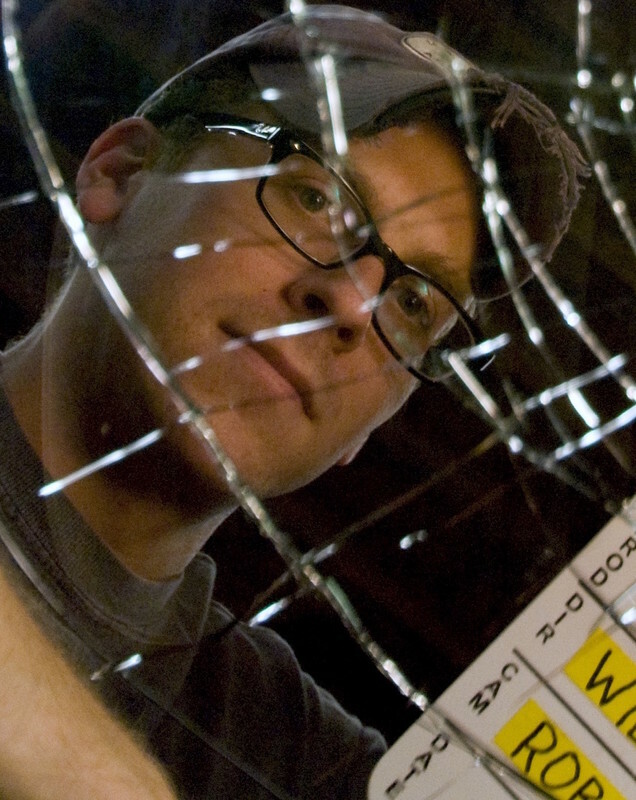 His award-winning work has been recognized by film festivals across the country. His first book, “No Alternative,” was declared, “a sympathetic coming-of-age story deeply embedded in ’90s music” by Kirkus Reviews. His second book, “DETOUR: Hollywood: How To Direct a Microbudget Film (or any film, for that matter),” is available now. Midwest Book Review writes: “‘DETOUR: Hollywood’ is candidly practical, thoroughly ‘user friendly’, and an essential instruction guide — especially for independent filmmakers working on shoestring budgets.”He recently adapted “No Alternative” into a motion picture starring Michaela Cavazos, Conor Proft, Chloe Levine, Kathryn Erbe and Harry Hamlin.